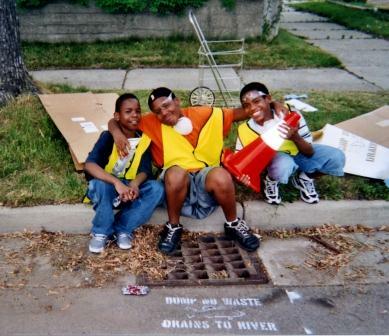 1000 Friends worked with municipalities in southeast Wisconsin to help them clean up our waterways by using green designs. While we know that we can do a better job of reducing storm water pollution by using strategies like bio-swales and green roofs, many communities have local laws that make it very difficult to use these and other kinds of green infrastructure. From 2012 – 2016, 1000 Friends of Wisconsin worked with municipalities in southeastern Wisconsin to audit, revise and prioritize codes and ordinances that prohibit or inhibit more widespread use of this green infrastructure. Local zoning codes might not be on the radar of some sustainability supporters, but they have a surprising amount of influence over which projects can be completed. In many communities, development codes haven’t kept pace with the times – a lot of city zoning ordinances have little support for sustainable development. This isn’t surprising, since most of the ordinances were written long before sustainability became a household word. In the Great Lakes region, stormwater is of greatest concern for planners. In developed areas, stormwater doesn’t only damage buildings and endanger residents; it also increases erosion, washes off topsoil, carries industrial and agricultural chemicals into rivers and lakes, and creates “plumes” of sediment that destroy the habitat of fish and wildlife. The sustainable approach to mitigating this damage is through green infrastructure – development that aims to manage floodwater where it falls, from simple roof gardens and permeable surfaces to restoring forests and wetlands. But codes and ordinances can make using these structures difficult. But communities rarely have the resources to give their codes and ordinances a thorough audit. We envisioned a project identifying code revisions that would lead to improved water quality and water mitigation. It’s not simply a matter of “Yes, you can,” or “No, you can’t.” In studying codes, our team found a range of language – specific rights, specific prohibitions, partial limits, practices mentioned with no guidelines for implementation. What lessons did we learn in our efforts to create better codes and get them accepted? We studied the local culture, looking for existing organizations (such as beautification committees) that could be advocates and examined the community’s history with green infrastructure. One bad project can ruin a community for green infrastructure! We heard from communities that had a couple of permeable pavement projects fail and didn’t want to talk about permeable pavement at all. Second, make it easy to see results. We used a modeling program to demonstrate the results of our proposals. We identified a code that we really wished would be modified, and then we identified a parcel of land that we could model that code’s adoption upon. We showed a model that demonstrated how stormwater runoff could be reduced or eliminated by the use of rain gardens, green alleys, and other forms of green infrastructure. Finally, communication and teamwork are key. Some of our nonprofit friends and colleagues asked why this took so much time? We looked at it as this: these are our colleagues. If we come to the table together, it takes time to develop that relationship, but this is not a one-time relationship. Each project builds trust. With the help of a major grant from the Fund for Lake Michigan, we reviewed local codes and ordinances and identified the laws that created barriers to implementing green infrastructure. Green infrastructure is a proven and effective means to improve water quality and habitat by reducing storm water pollution that flows into our waterways, but there are critical barriers to its implementation. This project addressed one of the key barriers: municipal codes and ordinances that limit the implementation of green infrastructure. Municipal codes and ordinances have a broad impact, as they govern and can incentivize or deter green infrastructure implementation by both the private and public sectors. Modifications to local codes, ordinances, and review processes can encourage municipalities, builders and developers, as well as property owners, to implement green infrastructure practices. The municipal partners for this initial project included: Germantown, Menomonee Falls, Butler, Brookfield, Wauwatosa, Elm Grove, City of Milwaukee, West Milwaukee and Greenfield. Juli Beth Hinds of Birchline Planning, a nationally recognized expert, consulted on the project. Phase 3 – met with our municipal partners and discussed recommendations and developed strategies to move prioritized revisions forward in their communities. The project built local capacity and brought technical assistance for this work at a time when municipalities were facing restricted budgets and reductions in personnel. By prioritizing needed revisions with the watershed restoration implementation plan and GIS analysis, the project guided the efforts of municipal staff to undertake the work of code revisions where those changes will have the largest impact. Further enhanced the ability of the municipalities to advance codes/ordinance revisions by providing new language for the revisions tailored to their needs. 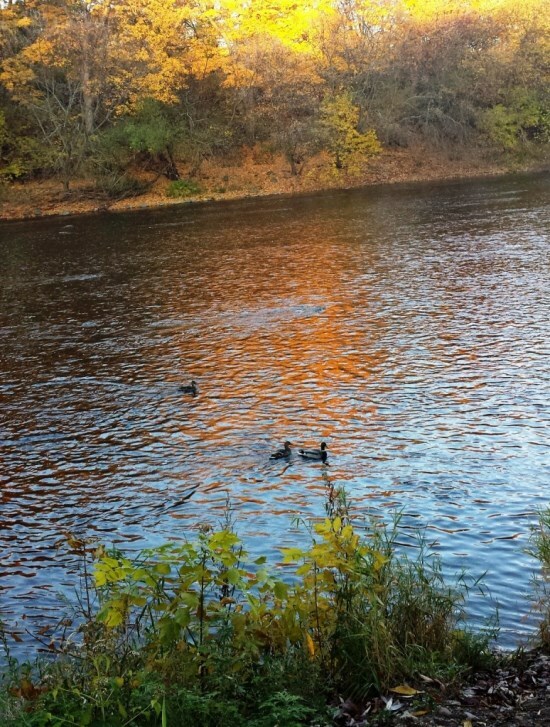 This project focused on the Menomonee River watershed municipalities, but the approach was replicable. 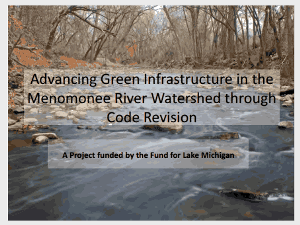 The project helped to facilitate the development of strategic code and ordinance revisions in other communities within watersheds draining to Lake Michigan. 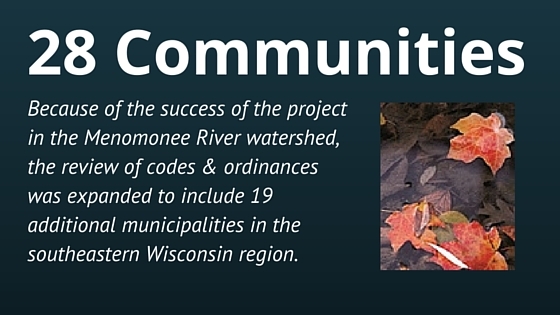 Because of the success of the project in the Menomonee River watershed, the review of codes and ordinances was expanded to include more municipalities in the southeastern Wisconsin region. With additional grants from Milwaukee Metropolitan Sewerage District (MMSD), we were able to expand this work in the Menomonee River Watershed to include the Village of Mequon. This grant also allowed for the expansion to the Kinnickinnic River watershed, including the municipalities of West Allis, Cudahy and St. Francis. And, an additional grant from the Wisconsin Coastal Management Program allowed this project to expand work to Bayside, Fox Point, Shorewood and Whitefish Bay. Additional grant money from MMSD expanded the work even further to include 11 more municipalities, including Brown Deer, Caledonia, Franklin, Glendale, Greendale, Hales Corners, Muskego, New Berlin, Oak Creek, River Hills and Thiensville. 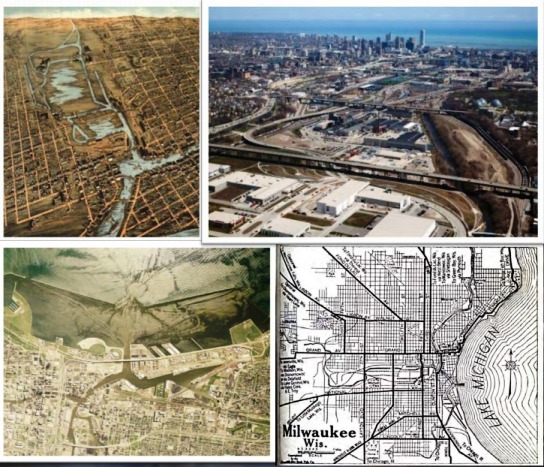 The green infrastructure municipal codes and ordinances initiative was focused in the Milwaukee region; however, the approach is replicable and can help facilitate the development of strategic code and ordinance revisions for green infrastructure in other municipalities and communities within watersheds draining to the Great Lakes Basin and beyond. Learn more at the Wisconsin Sea Grant website. Green Innovations from PortlandBES on Vimeo.